Imobhub has successfully completed various architecture based software solutions with its team of skilled, talented and experienced .NET professionals. Our teams with good experience with significant expertise in enterprise-level software applications and product development solutions. 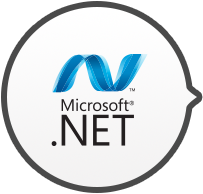 We offer .NET software product development services based on definite client requirements and there business goals. Our team employs well-established software development processes and quality control to good, healthy and effective management of the projects. We are using the latest methodology and techniques, design logics and intelligently use appropriate tools to guarantee a scalable and good solution resulting in an application that meets the client requirements. Our team advantage the full range of .NET functionality that supports building and running the new and next generation of applications and XML supported web services.